Trend Alert: Mid-Summer Trend Round-Up – Flamingos, Culottes, & Chikan! Well we’ve made it through half the summer and since we don’t have much of a Fall season to look forward to, we still have a long way to go! Here are the ruling trends to keep you going plus some great transitional styles, that will work flawlessly for mid-summer evenings. That’s right we’re talking about the fun and flirty culotte. During our summer holidays we saw quite a bit of an east west overlap. For one thing our much under-rated Chikan fabrics are everywhere from ZARA to Gap kids ever since Valentino picked it up for their spring/summer’15 runway collection. A more under the radar print trend has been the rise of the flamingo. 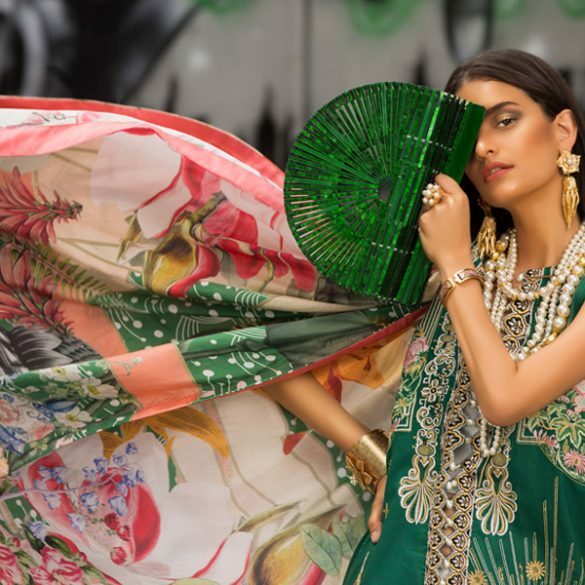 Whether it was intentional or just a pretty bird that caught everyone’s attention all at once, the flamingo print is all the rage for pret lawn kurtas here at home most recently seen at Sapphire and Coco by Zara Shahjahan, not to mention on luxury pret runways for Sana Safinaz and Wardha Saleem. But the pretty pink bird is also flying global on Kate Spade bags, espadrilles and separates. Take a look at the playful flamingo plus all the ways to hit the Chikan and Culotte trends through the continuing summer. Shutterbug: Nadia Ellahi Wedding Style Spotting in Sweden!